AIA Florida announced winners of its most prestigious award program for the region, the AIA Florida/Caribbean Design Awards. The program selects projects that demonstrate great design and advance the profession of architecture in the area. Recently 25 projects out of a field of 300 entries were recognized at a ceremony held in Boston, among those selected, three projects designed by ARCHICAD firm, Guy Peterson |OFA led by Guy Peterson received an Award of Excellence for Historic Preservation, AIA Florida Unbuilt Award and an AIA Award of Excellence. Center for Architecture. Photo by Greg Wilson. Ferguson Alley House. Photo by Ryan Gamma. The Center for Architecture Sarasota received an Award for Excellence for Historic Preservation. Architect Guy Peterson, FAIA, Project Manager Damien Blumetti Associate AIA, designed the renovation of the 7,256 square foot building. 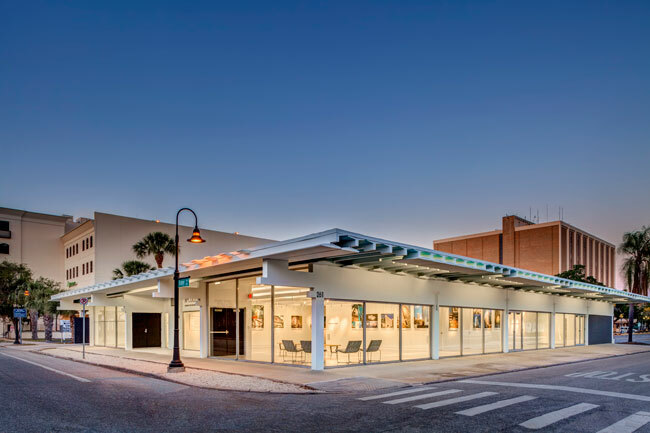 Originally complete in 1959, the Center for Architecture Sarasota provides a place for students, design professionals, community leaders and the general public to come together to admire and debate our built environment. 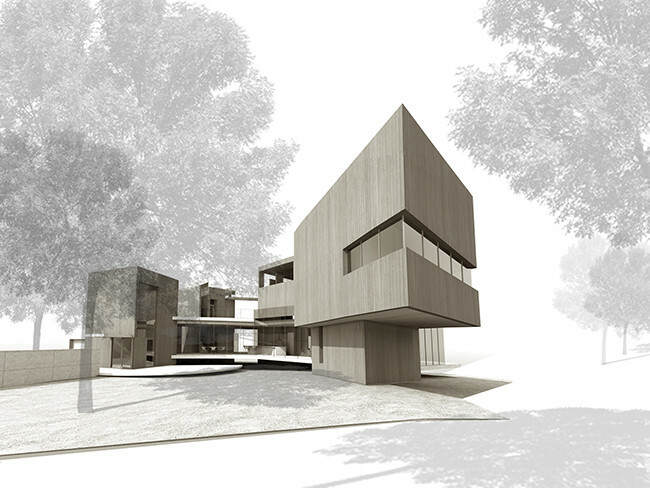 In the Unbuilt category, OFA’s project “Treescapes” received an award. Peterson along with Project Managers Joe Kelly, Associate AIA, Damien Blumetti, Associate AIA, Amanda Byars, Associate AIA worked to create a residence on a 4,500 square foot area while keeping the existing trees in Hardee County Florida. 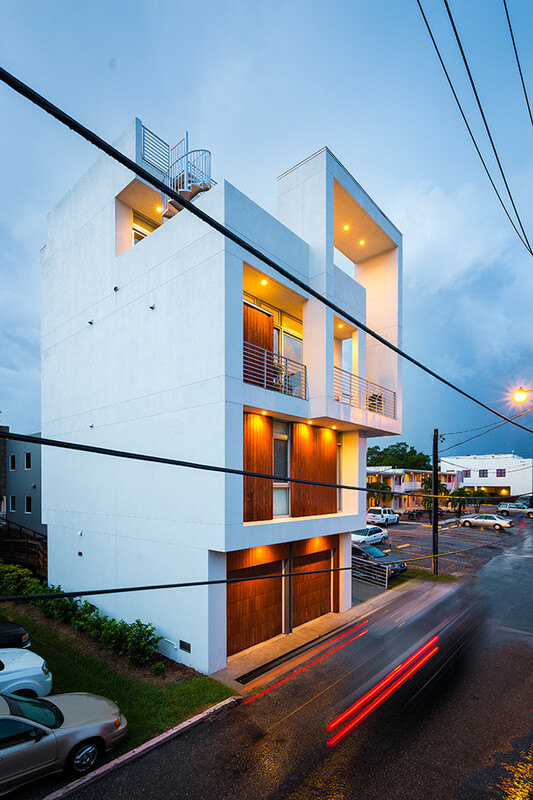 An AIA Florida Award of Excellence went to the Ferguson Alley House, located in Sarasota FL. With a total square footage of 2,500 the project team of architect Guy Peterson, FAIA and Project Manager: Damien Blumetti, Associate AIA designed a new residence for a previous client behind an existing photography studio home on a dense urban street in downtown Sarasota which the firm designed in the early 1990’s. An extremely challenging small footprint, recent changes in downtown zoning, and restrictions created several challenges. The team designed a vertical residence to provide the required 2,500SF residential program and used ARCHICAD to evaluate potential views from the upper levels, incorporating a series of roof gardens to allow the owner beautiful views to the downtown harbor and out into Sarasota Bay and the Gulf of Mexico beyond. These awards – set to be given during this years AIA Florida Convention at the Boca Raton Resort and Club on August 1 – encourage excellence in architecture, elevate public consciousness of good design, and recognize those owners, designers, and contractors whose work enriches the built environment.